and combine them to show a block based on a context. And that context is coming from the date field. So basically, if the date field doesn't match, don't show this block or do show this block. I'm going to go ahead and demonstrate how you can do that going through installing contexts. that comes with the date module you need to install. In this final video Kyle will show us how to use the Date context module, which comes as a part of the Date project, along with the Context module to display some blocks based on the date associated with the content we are viewing. We create two blocks, one for dates in the future, and another for dates in the past. 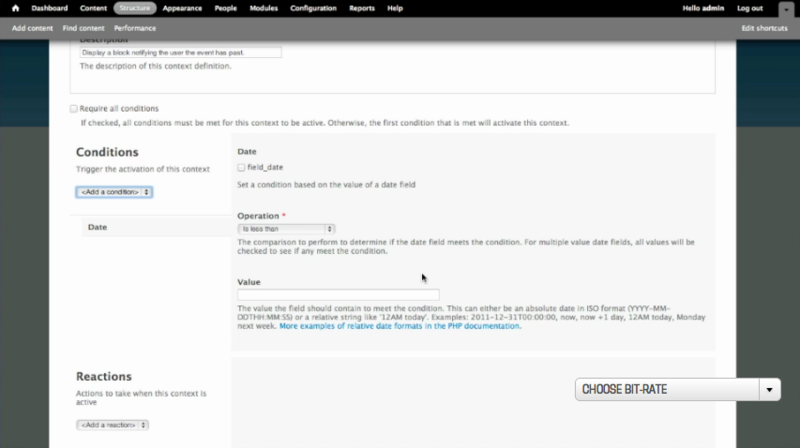 We then configure Context to display the correct block based on the content's date.